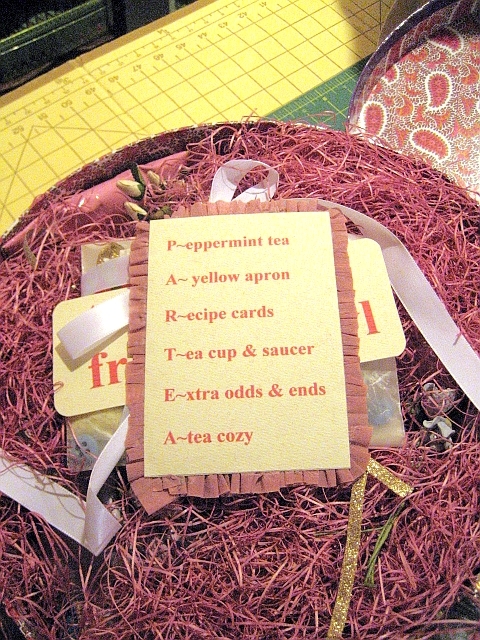 Partea Swap Goodies – !!WOW!! This weekend was fabulous! The weather on Saturday was wonderful. I got to go to yard sales, the farmer’s market in Smithfield, VA and have dinner with close friends and my husband and eat soft shell crabs. Sunday it rained all day and we needed that rain SO much. Also on Saturday, the mailman brought me the most intriguing package from my Partea Swap partner Cheryl. It was a big round box! I saved opening the package until the quiet of the afternoon on Sunday. It was packed full of the most beautifully wrapped goodies! 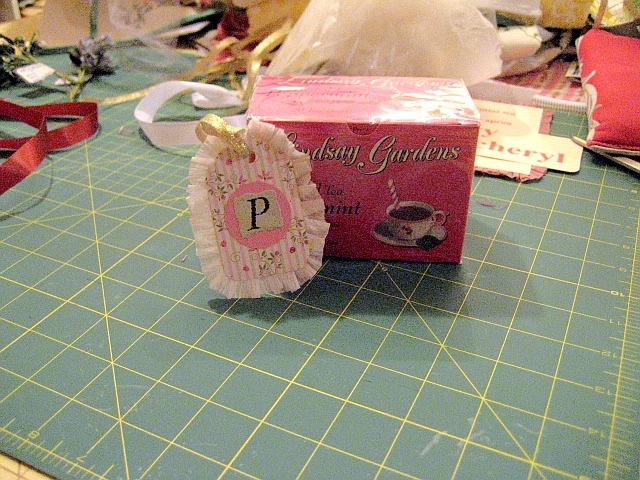 Cheryl made beautiful tags for everything, including a tag that spelled out PARTEA and what each letter represented in the package. A is for yellow apron. 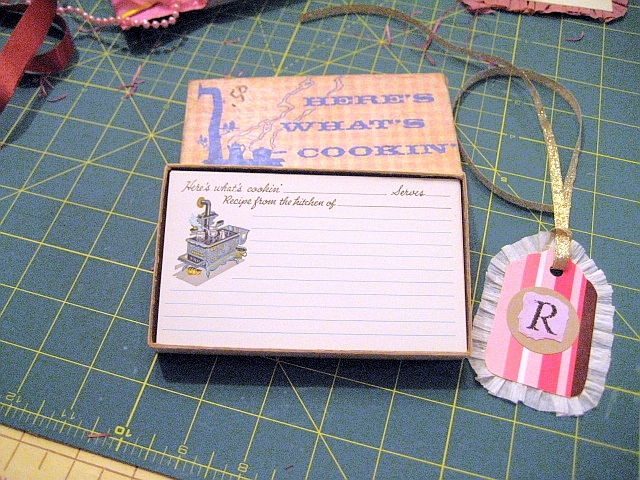 R is for recipe cards. Fabulous box of vintage cards, exactly the ones that my mother had! 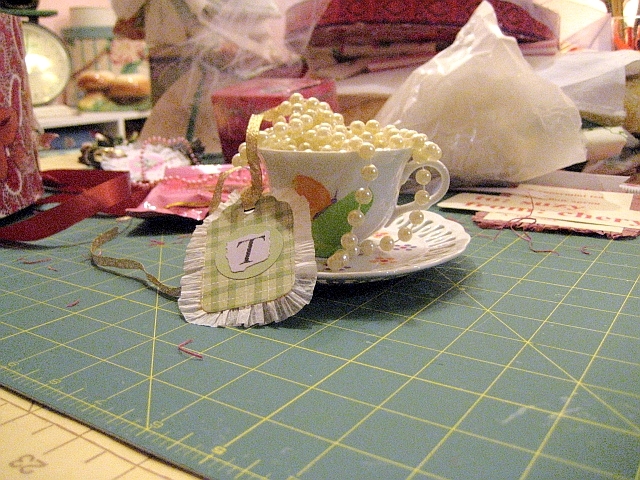 T is for tea cup & saucer, very pretty! E is for extra odds & ends. 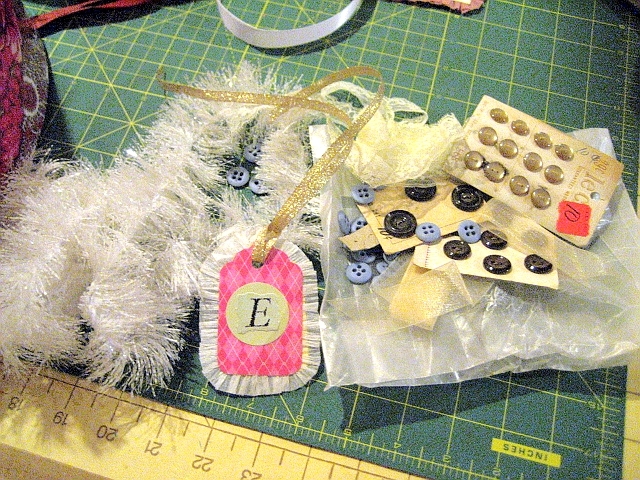 A wax paper bag filled with all kinds of neat vintage bits of trim and buttons. 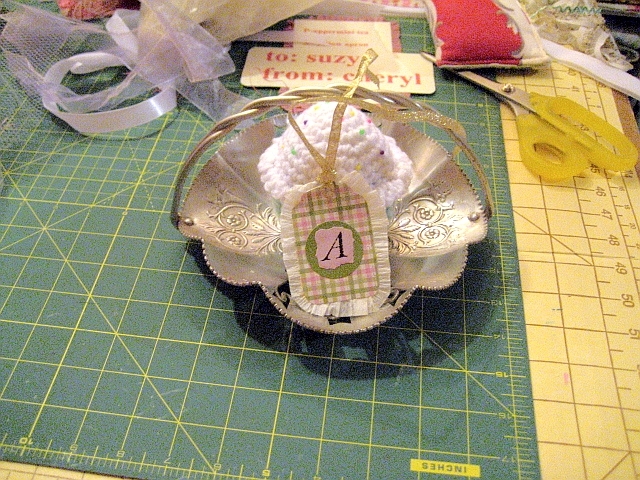 There were other goodies as well, look at this sweet hammered aluminum candy dish and inside is sweet crocheted cupcake that I bet Chery made herself. 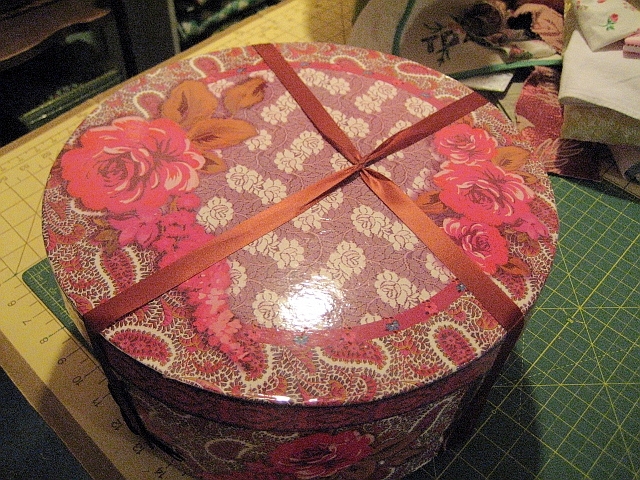 There were other goodies as well, some vintage doilies and tins. Thank you Cheryl! What fun! 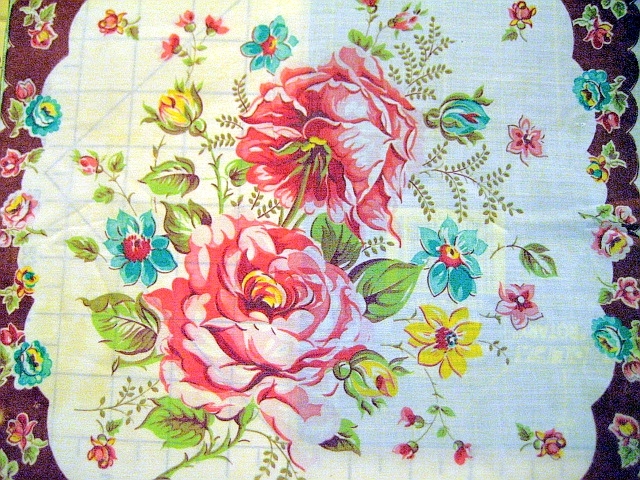 To end this post instead of a vintage fabric I am posting a picture of a beautiful vintage hankie, enjoy! 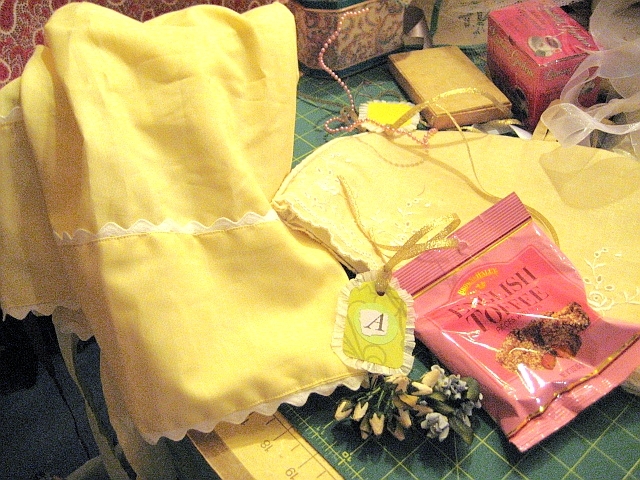 Aahhhh, a beautiful day…yard sale-ing…dinner with friends…and a pretty package of goodies.